Admins running Windows 8 and/or Server 2012 will notice that the Internet Explorer Maintenance section has been removed entirely… the joys. These settings now have to be configured via Group Policy Preferences. First navigate to User Configuration/Preferences/Control Panel Settings. 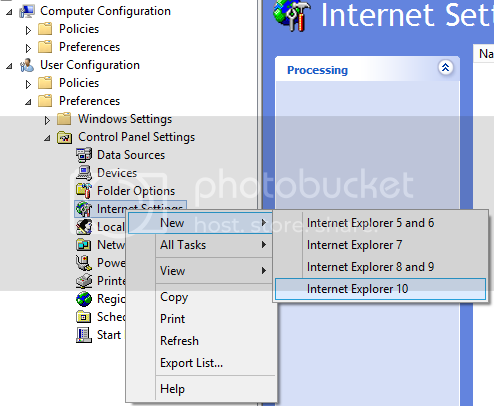 Right-click on Internet Settings and select New > Internet Explorer 10. Go to the Connections tab and you’ll be able to fill in any proxy information you require.